PYUTHAN, July 6: Prasana Nepali of Gothiwanga, Airawati Rural Municipality 5, on May 25, died of snake bite because of the absence of anti-snake venom in the district hospital. The fifteen-year-old had been sleeping when a snake bit her. When taken to the district hospital, it was found that they were in short supply of the anti-snake venom. She was then referred to Butwal for treatment but died on the way. Family members have blamed the district hospital for her death, saying that she would have survived had she been treated on time. There have been multiple cases in which victims of snake bites have had to go to Nepalgunj, Butwal or elsewhere because of the scarcity of anti- snake venom in the district. The district hospital hasn't given much importance to this matter saying that snake-bite victims are rare in the district. According to Subedi, locals of Dang and other tarai districts suffer the most from snake bites and are thus on government's priority list. In Pyuthan, snake bite incidents are rare. Patients here are very rare and there hasn't been any snake-bite incident since some years. The anti-snake venom is scarce as the government doesn't send sufficient amount of the drug since the number of patients in the region is low. Therefore, patients are sent out of the district for treatment. The victims have had to spend a lot of additional money for travel, which wouldn't have been the case if the district were to provide the treatment. The government continues to prioritize the tarai and ignore the hill districts by not sending the medicines or sending very limited amount. 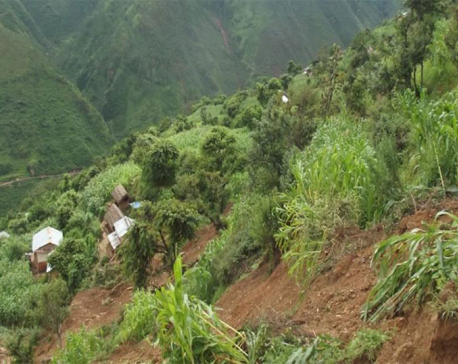 The government has justified this by saying that the hill districts aren't under risk. As a result, the local hospitals are not least prepared for treating patients, and refer them elsewhere. A handful of patients have died, unable to be treated on time.